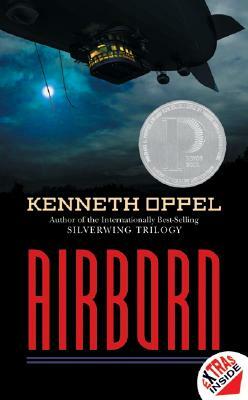 Kenneth Oppel is the author of Skybreaker and Airborn (winner of the Governor General’s Award), as well as the Silverwing Saga (Silverwing, Sunwing and Firewing), which has sold over one million copies worldwide and has won numerous prizes, including the Mr. Christie’s Book Award and the CLA Book of the Year for Children Award, as well as many children’s choice awards across the country. His other titles include Peg and the Whale, Dead Water Zone and The Live-Forever Machine. Voted children’s author of the year by Canadian booksellers in 2006, he lives in Toronto with his wife and three children. You can find him online at kennethoppel.ca and on Twitter at @kennethoppel.